After talking to several top publishers and researching they handle sign-ups today, we saw an opportunity to make generating sign-ups easier and more effective. To do this, we’re sharing a new feature in collaboration with our parent company, Zeta Global, with Disqus publishers. 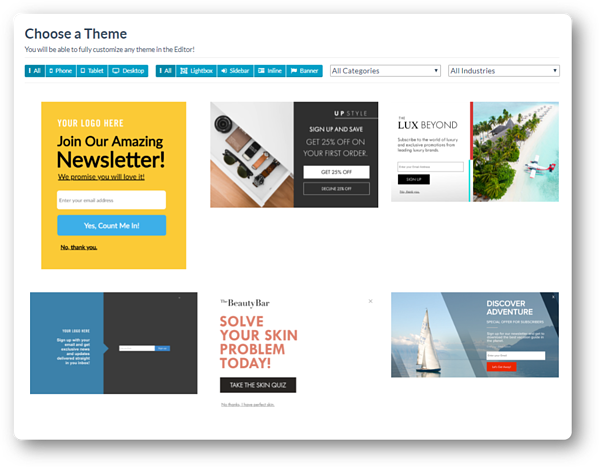 The Lightbox tool helps publishers easily create and activate custom opt-in forms and more contextual messaging to readers based on what content they read, where they came from, total visits, and more. With more engaging and relevant sign-up prompts, publishers that work with us see 2-3x more conversions on average. Why focus on email sign-ups? Email offers publishers the unique benefit of a direct channel to readers. When readers have nearly limitless options for content, direct connections are essential to building a sustainable audience. To succeed, today’s publishers need strategies to stand out and develop more meaningful relationships with their readers. While third party distribution alone often fails to back out into meaningful ROI, investments in audience development continue to drive sustainable results for top publishers in the forms of loyalty, direct traffic, engagement, and subscriptions. To develop a relationship with a reader, you need to who they are. Once a reader becomes a subscriber, your ability to build a strong relationship with them increase exponentially. You can tailor their experience on your site by giving them exclusive or personalized content and reach them directly through email or other channels, as opposed to relying on third parties to distribute your content. Everytime a new reader lands on your site, you have an opportunity to convert that anonymous reader into a subscriber. If you’re relying on a static or one-size-fits-all prompt to do this, you’re losing out on potential sign-ups. We want to help you change this dynamic. Publisher that already tested our lightbox tool, saw 200-300% increases in sign-ups within a couple weeks. Let’s take a look at how it works. Maintaining a consistent, on-brand experience when you interact with your readers is critical. We help you get started with a library hundreds of professionally designed templates, which you can customize completely. 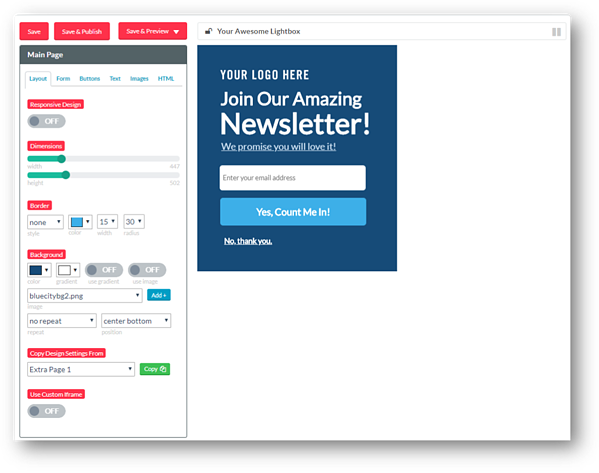 Our drag and drop editor makes it easy for you to create and customize several types of sign-up forms including lightboxes (on top of page), top and bottom banners, and sidebars, and inline messages with your own logo, imagery, color palette, font, and copy without writing any code. Your readers are diverse and each reader’s individual experience with your site is unique. They arrive on your site from different sources, have different interests, interact with different content on your site, live in different countries,and more. Tailoring the way you communicate and interact with your readers is essential to increasing conversions. Our lightbox tool empowers you to target specific segments of users and customize your design and messaging, based on URL, Geo-location, Referring source / channel, UTM parameters, pages navigated, number of visits to your site, device, and more customizable conditions. We integrate, out of the box, with over 30 top email and CRM platforms. You can sync with your platform of choice in just a few clicks. So when readers sign-up for your newsletter, they are automatically sent to your downstream tools. The Lightbox functionality is available as an add-on to Disqus in collaboration with our parent company, Zeta Global. We’re confident that we can double your current numbers within a week. If you’re interested in significantly increasing your email sign-ups, we’d love to chat, show you a demo, and walk through some use cases for your site.